Mechanical watches and fluids don't mix... Well, not at HYT! Mechanical watches and fluids don’t mix! In fact, keeping fluids outside a watch case is a major issue for all mechanical watch brands. Six years ago, a small company named HYT did exactly the opposite and created a watch that indicates the time with fluids. 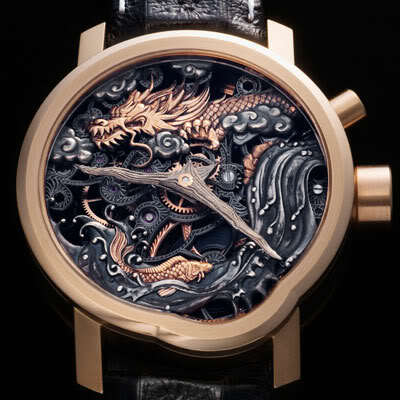 But don’t expect water to swoosh around the watch case like a miniature aquarium. The case is still waterproof and water doesn’t flow in between the gears and pinions. The fluid is contained in a small capillary tube with two bellows that pump the liquid to indicate the time. Today, MONOCHROME is visiting HYT. We’re going to take a closer look at the manufacturing, the technical design and the watches themselves. We’ll be talking with the brand’s CEO Gregory Dourde and Creative Director François Nunez. Time is fluid! 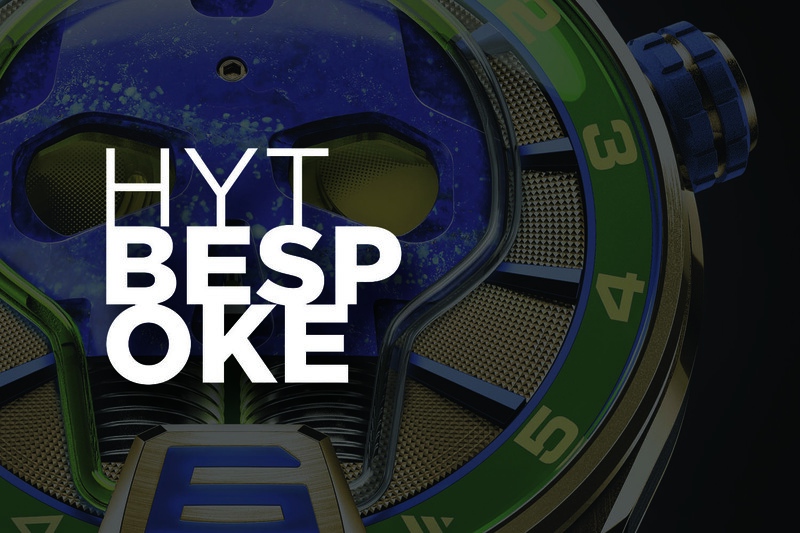 At Baselworld 2012, HYT generated a lot of buzz and journalists flocked to the stand. While we were already aware of alternative ways of displaying the time, all of them were mechanical, relying on moving parts and still close to the classical concepts of watchmaking. What HYT did was radically different. 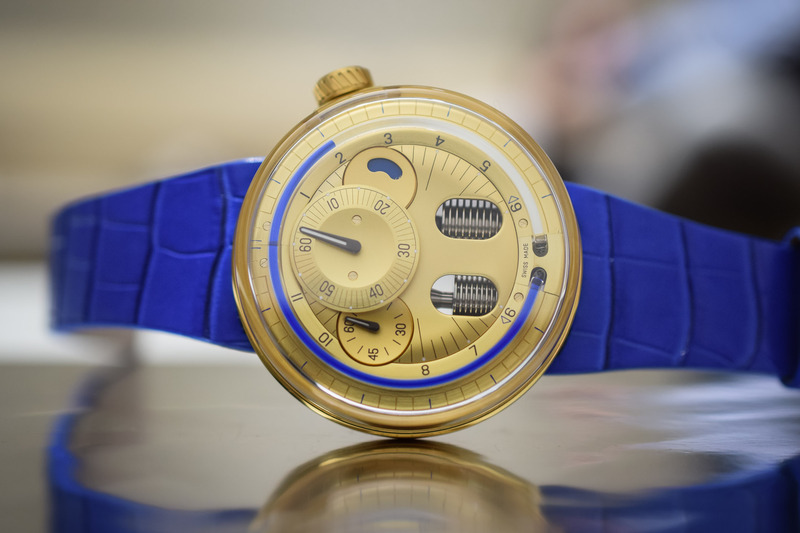 It put fluids – a movement’s worst enemy – in a watch to indicate the time. Apart from the technical beauty and the impressive achievement, few understood the work that has been done to create such a watch. We’re not just talking watchmaking anymore, but also science and medical knowledge. 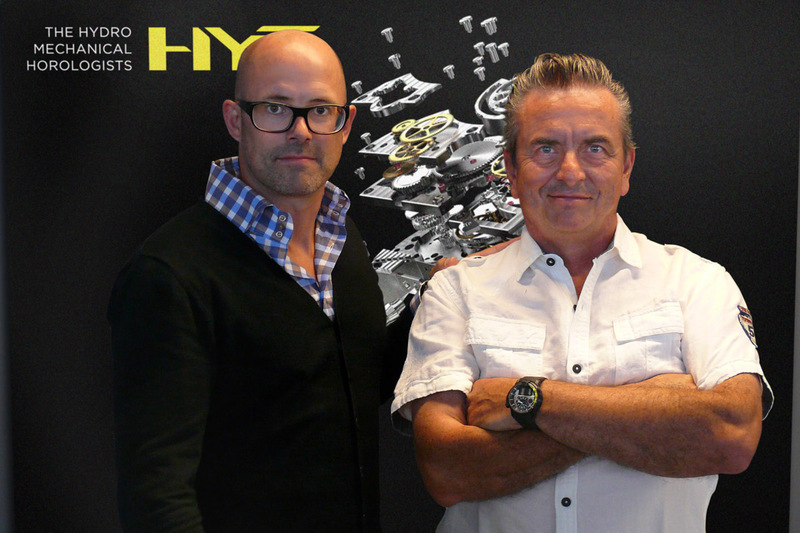 We thought it was time to share with you all the details behind HYT, so you’ll be able to fully understand this unique, atypical and disruptive approach to watchmaking and see how these watches come to life. Enjoy our latest movie, which you can view at the top of this article. HYT is gimmickry at outrageously expensive prices. Using new technology is great, but it needs to be practical & affordable, otherwise it’s just an interesting art piece.